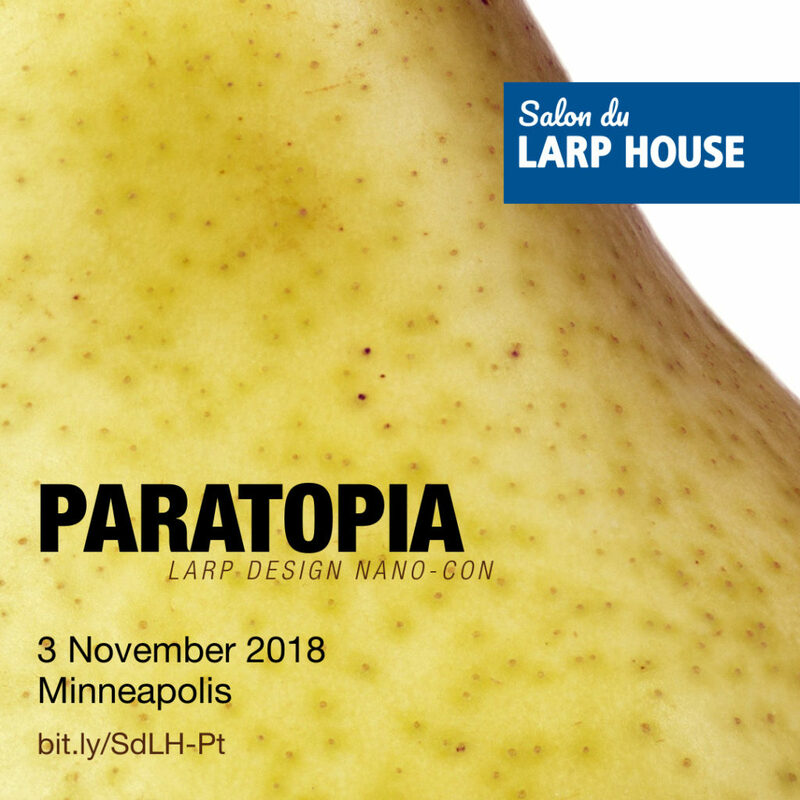 At Paratopia you’ll participate in discussion groups and play one or two larps that are currently in development. The discussion topics and play styles will vary. You will choose which discussions and larps you participate in at the event. Got any ideas for a larp kicking around? Bring them with! We’ll break into small discussion groups and hash it out to help get you to the next step. We’ll host two (or more!) short playtests from the community. Larpwrights will present their scenarios and you’ll choose the one you’d like to give feedback on. Build-your-own sandwich bar on site! Or you can do your own thing. We’ll sit down together and talk about our creative processes. Maybe we can figure out together how to work smarter instead of harder. Open discussion groups for multiple small groups. Everyone gets a turn to present or revisit whatever larp topic they want. That’s right! More playtesting! But this time with two (or more!) different works by different larpwrights. The play venue is ADA accessible. Plenty of seating. Climate controlled building. Gender neutral bathrooms available. We will be offering a build-your-own sandwich bar for lunch; please fill out the preference survey and mention any dietary needs. Of course, you may do your own thing if you’d rather. There is a kitchenette available for your use on site. Content advisories will be presented at the event prior to each larp. At 6pm we’ll head down to Broadway Bar & Pizza (2025 West River Rd, Minneapolis) for dinner and banter. All are welcome to join us, whether or not they attended the rest of Paratopia! I’m planning to be there!